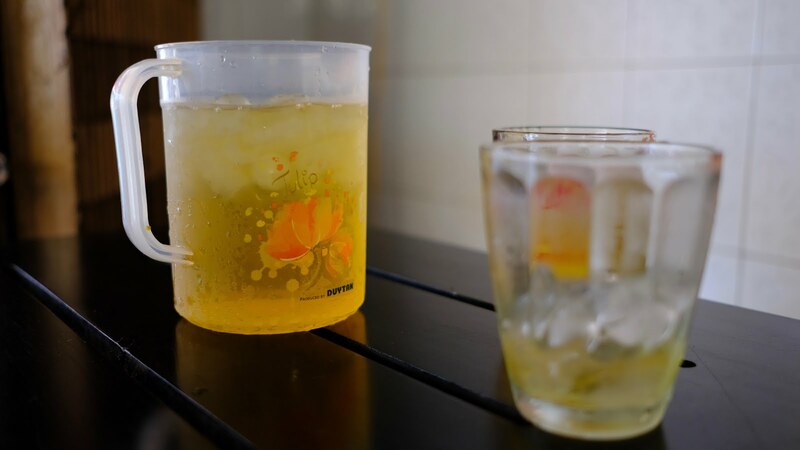 Let me introduce you to two 'Must Have' beverages that are found all over Vietnam. Must have, but for different reasons. Shall we start with the egg coffee? I know. Eggs and coffee. It doesn't sound quite right. But once upon a long ago, I remember thinking the same about chocolate and chilli. Yet I left Mexico with a deep love for enchiladas with a thick, generous, indulgent coating of mole. Would egg coffee leave me similarly entranced? Egg coffee is, essentially, war food. An improvised Vietnamese creation made from what was available. The country didn't have much in the way of fresh milk. But they had a ton of chicken eggs. At some point, someone who clearly disliked black coffee decided to give it a go. Mrs P and I went to Giang Cafe in Hanoi to sample the stuff at the most famous place of them all. They claim that egg coffee was invented there. The Metropole Hotel in Hanoi claims otherwise. 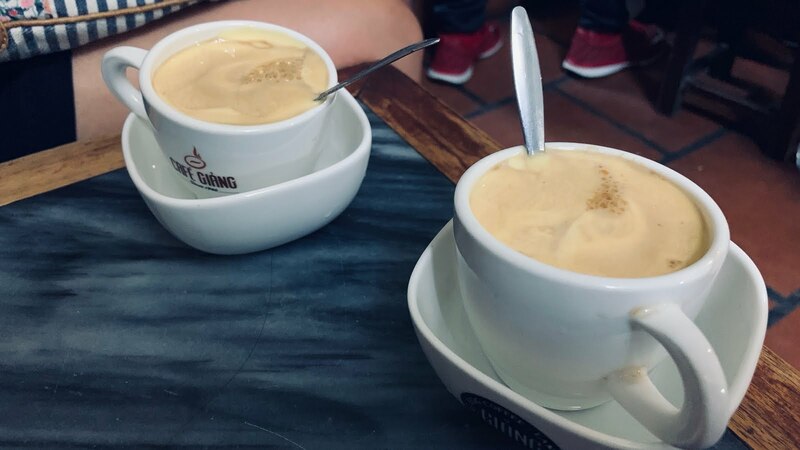 Either way, egg coffee has found its place in modern Vietnam's cuisine. It's iconic, even. A 'must have' that all visitors should try while in the neighbourhood..
We took to our teeny tiny plastic seats, with matching teeny tiny plastic table. Myself looking even more like a giant than normal in Vietnam. Which is saying something, given my lofty proportions in a land of short people. We put the cups to our lips and sipped. I pondered for a moment. Had another sip. So. What does egg coffee taste like? It tastes of coffee. Sweet, strong coffee. A really creamy, but lightly textured, coffee. And then as you finish the last of it off, there is just the slightest hint of egg in the aftertaste. But it is just a hint, largely drowned out by the strength of the coffee. It was quite pleasant. It's worth trying. I went on to have a couple more. Will I try and recreate this delicacy back home? Probably not. Although I have bought a can of evaporated milk to substitute for my normal milk, which is the more common variety of Vietnamese coffee. Just for a sensory reminder of our vacation when, on a rainy day in England, I need a little pick me up. You have to seek out and order egg coffee. Not so Tra Da. This iced tea will seek you out. It's nigh on impossible to take a seat in a restaurant or coffee shop and not have a glass of this stuff thrust in front of you. It's almost always free of charge. And chances are, you'll be thirsty - Vietnam has a warm climate - so you'll drink it. It's a 'must have' whether you like it or not. I have to confess, I still haven't decided whether I actually like it or not. I must have gotten through pints of the stuff, but my tastebud jury is still out. It's a little bit of an acquired taste, perhaps. I was reminded of my first experience with olives. Not that the flavours are in any way comparable. But when I first tried a few olives, they didn't really taste particularly nice. But there was just something there that forced me to keep putting them in my mouth. Tra Da provided a similar experience.